As the Lab Director of the 2018 Athletes In Action JAM Camp, I started each lab with a few moments for the young men to acknowledge something God had done, before they took the field. The first day I directed the young mens' attention to the beautiful sunset. i pointed to the fact that God painted a uniqu, one-time-only sunset for us to take in. The next day, I had the young men acknowledge God through the tall trees on the grounds around the fields. I stressed the fact that the trees witnessed weather of all sorts and were still standing, testifying to the greatness of our God. Testifying to the young men. Before the next lab, I pointed their attention to campus grounds, the location God picked for them to learn from Him. Finally, I pointed their attention to the people around them, who God sent to teach and show them love. I pointed out the fact that God chose each person present to bless and be a blessing for someone else there. "Before you take the field, acknowledge God! He is here!" 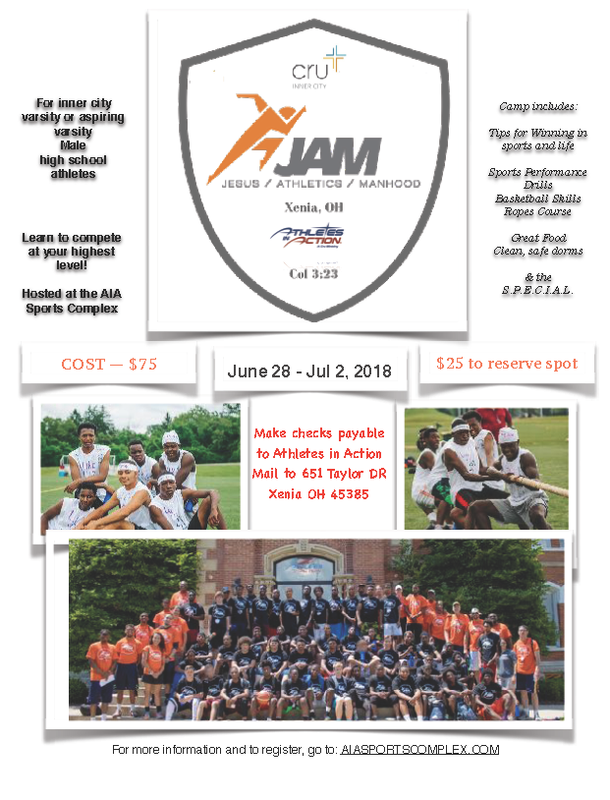 See the 2018 JAM Camp pictures I took.